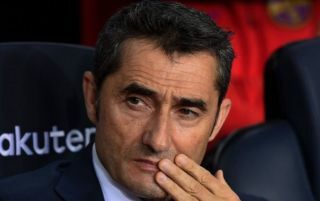 Barcelona will reportedly allow back-up goalkeeper Jasper Cillessen to leave the Nou Camp if his €60m release clause is met by an interested party. The 29-year-old arrived from Ajax in 2016, but has made just 28 appearances in all competitions in the three seasons that he has been with the Catalan giants. With Marc Andre ter-Stegen continuing as first choice goalkeeper, it has left the Dutchman with a limited role, often only really featuring regularly in the Copa del Rey. For a shot-stopper of his quality, that is surely not enough, and so speculation is growing over his future with Calciomercato, via Mundo Deportivo, noting that Barcelona would potentially allow Cillessen to leave if his €60m release clause is exercised. While the Dutch international undoubtedly showcased his quality at Ajax and remains a very good goalkeeper, that is a significant fee which could put any interested party off making a move. In turn, it remains to be seen if there is still interest if that is the fee being demanded by Barcelona, while the reigning La Liga champions surely can’t afford to lose him without signing a capable replacement either as it would leave them with a lack of quality depth between the posts. It seems as though an exit is still some way off, but playing a handful of games each campaign for a player of Cillessen’s ability is arguably a waste of his talent as he could easily be first-choice and a fundamental figure elsewhere. Whether or not that’s the priority or remaining at Barcelona to win trophies is, remains to be seen.